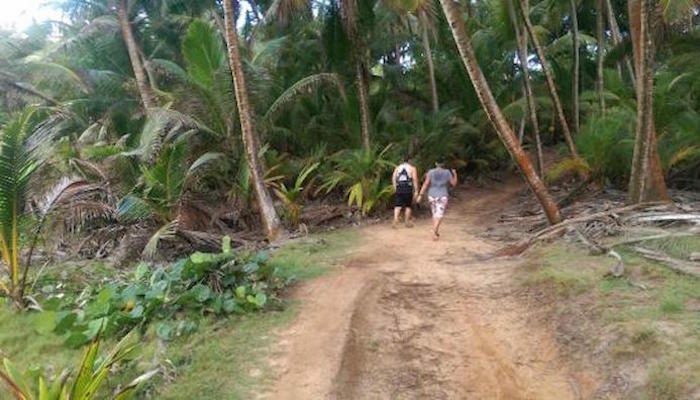 In the Cerro Gordo National Park area, there’s good running on a Mountain Bike Trail and on the firm sand of Cerro Gordo Beach. Though the Cerro Gordo Mountain Bike Trail was constructed with off-road bikers in mind, runners can benefit from the roughly 3 mile loop trail near Dorado. The trail is rolling dirt, fairly wide singletrack through the palms, with intermittent views of the ocean and a nice coastal breeze. There are also distance markers to help track your progress. It’s best to go in the morning when the weather is cooler and you’re less likely to interfere with the mountain bikers. The trails are adjacent Cerro Gordo National Park and the public Cerro Gordo Beach, where you can find parking ($5), restrooms and showers, and refreshment kiosks. The sand here is flat and firm if you’d like to extend your route an additional mile or two. Bring your swimwear to cool off post-run!